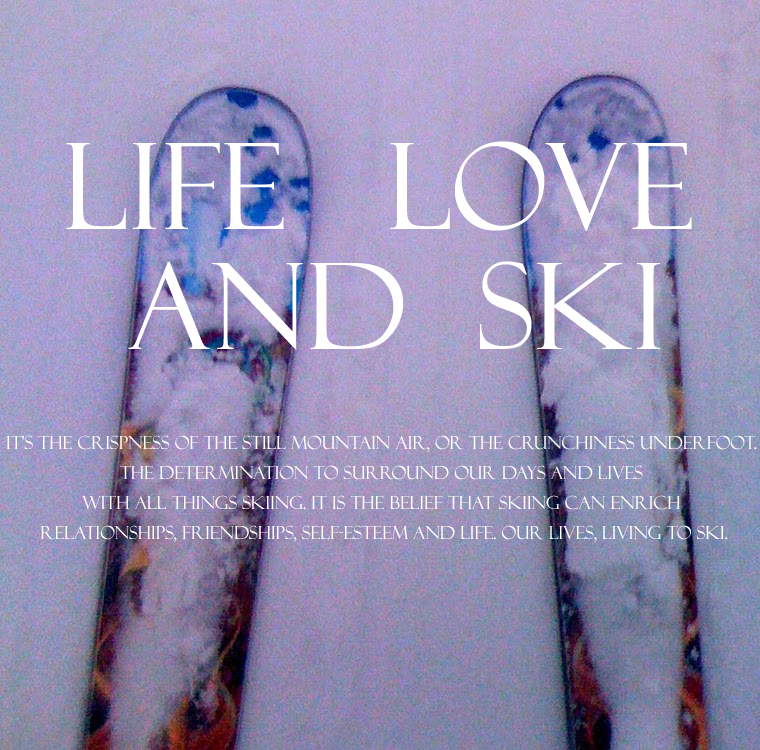 Home / avalanche • family ski resorts • powder skiing locations / Skiing Accidents. Would You Know What To Do? I was 6 metres further up, rooted to the spot fearing if I moved an inch either side I’d trigger snow movement, sealing him in. Just like any other accident, it started as a lovely day in Furano. Our travelling group came inside for lunch, dissecting the morning’s ski action, then the call went up to ski ‘one or two more’ side country runs to the dam wall. From mountain base to boundary entry point, eight enthusiastic skiers, including me, took three chairlifts to gain maximum altitude. The temperature dropped and I shivered on each chairlift, pleased to finally gather at the route entrance keen to get moving so we could warm up. Ready! Anything missing? Equipment maybe? Being a fairly standard out of bounds run, my husband, (my safety IS in his interest) endorsed this route as ‘right up my alley’. “Please do it, you will love it”, were his parting words back at the restaurant. Several of the group, including my husband skied this route twice the day before, there was familiarity built into it and no cause for alarm. Starting with a wide-ish chute with bountiful snow, interspersed with well-spaced trees, finishing with bumpy traverse along the creek, it was typical of conditions found outbounds from Japanese snow resorts, coveted for fresh tracks, plentiful powder snow and absence of other humans. Two minutes after the first skiers began ski descent, the ground opened up creating a crevasse mid-mountain swallowing our lead skier, skis, poles and all. A competent skier (professional level 3 expert instructor), we could merely halt and watch helplessly as he disappeared below the surface. He called out, so we knew he was alive but he was upside down trapped, boots still locked into skis, looking into pitch black. His voice, filled with tension was evidence this was no joke, he was in a serious predicament. Back inside the ski resort, his wife and two children had no clue what was going on, probably for the best. Weight of snow is incredible. This is hard to hold. As a group we canvassed ideas assessing the best way to extract him. Luckily, he maintained presence of mind, reaching up and releasing each ski, turning himself the right way and was able to climb out. I was 6 metres further up the mountain, rooted to the spot in fear if I moved an inch either side I’d trigger an avalanche sealing him in. Along the length of the chute ran extensive cracks, giving us good reason to realise imminent snow movement was a terrifying reality. Hearts thumping, the rest of the dam run home was a sobering exercise, some laughed nervously at the close call, others numb or quiet. These are all solid, capable guys and with lots of ski experience between them. I completed my Avalanche level 1 just 6 months prior and still willingly entered a situation to which I knew better so was mad at myself. Out of bounds with no probe sticks, shovel, avalanche beacons or equipment. That was the issue. A casual post-lunch dam run became a near-fatality. Somehow I didn’t put side country skiing in the same box with back country avalanche dangers. I am not alone in treating side country runs as casual ‘back to the resort’ runs and that is a real problem. Accidents happen when you’re least suspecting them. Need probe sticks, shovels and rescue beacons. Brian Jones , Director of Operations at the British Columbian Mountain School says “In terms of risks, we see far too many people skiing outside the ski area with the same attitude as if they are in-bounds – no safety gear; taking big risks such as large cliff hucks; riding avalanche slopes without any apparent consideration for safety; ski cutting slopes and cornices when other parties are below. 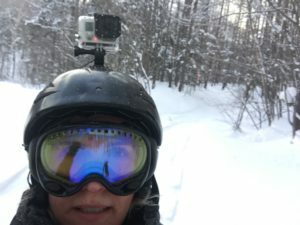 The list goes on, but ultimately these people are all resort skiers who have easy access, usually very skilled skiers and riders, but lack awareness of proper backcountry ethics or safety”. What Do you Need For Side Country Ski and Boarding? Accident planning (tell someone where you’re going, put the ski patrol number in your phone, don’t go out alone). 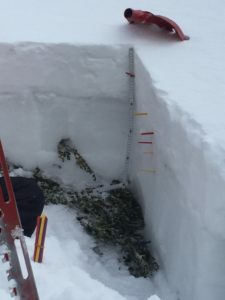 Risk assessment to the slope (do an avalanche course). Skiing side country can be deceptive. 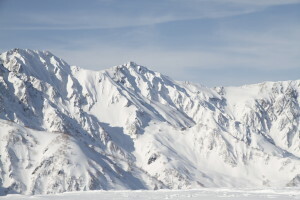 For skiers and snowboarders, back country is associated with risks and remoteness from rescue assistance, it refers to skiing outside resort boundaries, therefore more of a niche and may not appeal to more risk-averse skier. It usually involves hiking for long periods, requiring a certain level of fitness. Side country skiing refers to skiing/ boarding inside the resort or just outside the boundaries of snow resorts, often both at the same time. Side country is attractive to experienced skiers because snow grooming machines don’t reach there to comb powder therefore terrain can be a thrilling mix of powdery conditions and obstacles such as narrower terrain (chutes) and trees. In mountainous areas it’s common for dams built as catchments for large volumes of water melting post-snow season. Often there’s a track or road leading from the dam back into the resort or mountain base. Dam runs offer skiers/boarders a point of reference to head towards guiding them back towards civilisation. 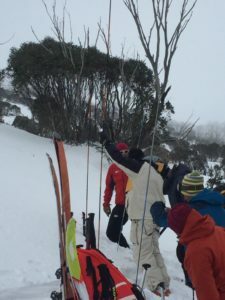 Backcountry skiing or boarding is well covered by avalanche preparation courses, information and support. Backcountry United stresses “Going into the backcountry prepared means having an idea of what to expect in your day, who you are riding with, what the worst conditions might be, and communicating with people who expect you back home as well as with those who are travelling with your group”. Powder magazine wrote ‘the term side country is dead’, to educate people all out-of-bounds should all be considered backcountry. However, the sentiment remains with folks that skiable terrain ‘to the sides’ of the resort, accessible via resort chairlifts is less risky than ‘backcountry’. We all need more educating , it seems. Pretty glad to hit the dam traverse at the base of the run. 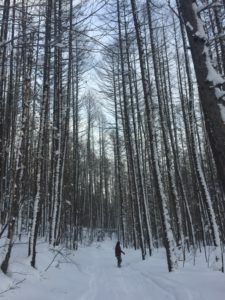 Safely back inside the resort, Furano guide Simon says the ‘lovely chutes’ our group enjoyed were actually paths cleared by previous avalanches so forceful they took down entire trees. Cracks in the snow were due to weather warming the snow, freezing it again and cracking as snow settled into riverlets. 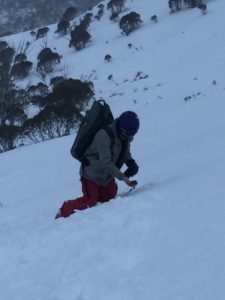 Adam West, who runs Canadian certified avalanche awareness courses in NSW says cracks we experienced along the avalanche paths were Glide Cracks, common in Japan. Had we assessed our intended ski path and all been trained in avalanche awareness we may have bypasses this dam run, particularly following long periods of warmer weather warming the ground and resettling. At very least we’d skied down one by one, worn beacons, carried shovels, probes and carried first aid. Why is Side Country Popular? Like anything on earth, we like to explore the unknown. 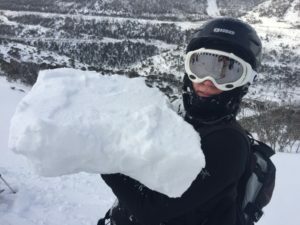 For experienced skiers and riders groomed runs can become ‘ho hum’ or boring after a few years, if youth is still on your side there’s temptation to push your limits until it’s time to buy that ‘seniors pass’. Have you tried skiing on wide skis known as fat skis? They’re super fun, made for navigating powder best of all and powder is generally plentiful away from groomed inbound runs, so skiers search outbounds for the kind of snow fat skis love. Kim Kircher, Crystal Mountain’s ski patroller, agrees fat skis are changing the face of resort skiing and understands why. 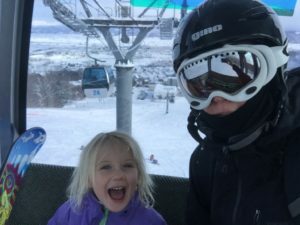 Some skiers argue they wait for the powder days because of money, wanting ‘bang for their buck’ king thrilling side country instead of queuing lift lines inbounds. Remember the bad old days when the girls stayed home and did the washing up and the guys had all the fun? Neither can I but it certainly means more people are out there in the side country, skiing on fat skis searching for powder runs. Fun-seeker and mini fun-seeker in training. Take an AST course, or hire a Guide, and learn basic backcountry safety and ethics. Develop the habit of reducing your expectations and objectives, compared with what you would ski/ride in the resort. ALWAYS check the avalanche bulletin. If your area does not have one, see point #1. ALWAYS take transceiver, shovel, probe and the “10 essentials”. Remember that there is no Ski Patrol or First Aid out there. You are your own rescuer and first aider. 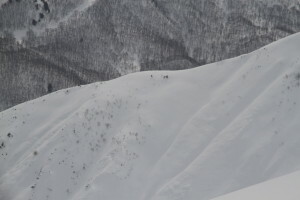 Avalanche slopes are not signed and controlled, nor are they obvious if you are not trained. Never forget that turning around is always an option. Being comfortable making a decision to turn around and stay out of harms way will be one of the most important “skills” you can develop. It’s almost enough to make you take up ten pin bowling! Get yourself qualified and stay safe.